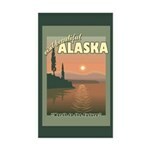 A retro-looking poster design for Alaska. 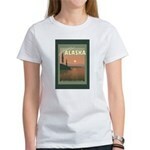 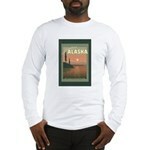 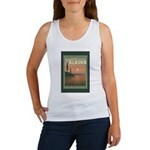 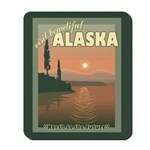 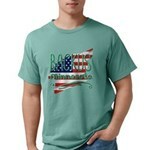 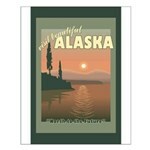 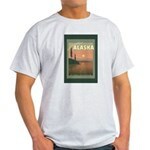 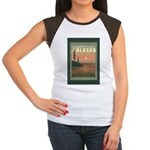 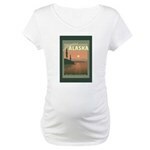 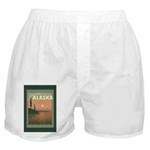 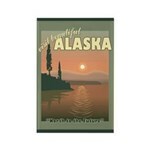 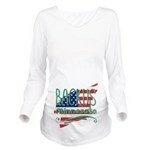 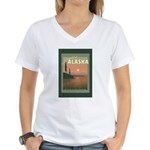 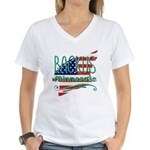 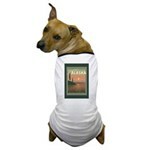 Text reads Visit Beautiful Alaska, North to the Future. 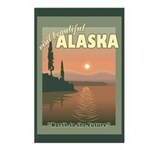 A lovely scene of Alaskan wilderness. 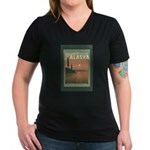 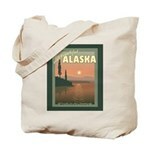 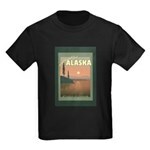 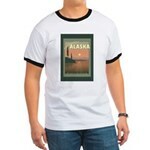 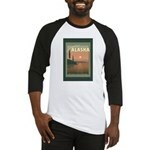 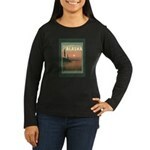 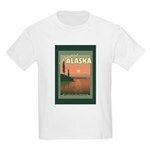 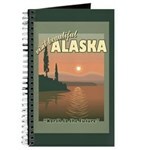 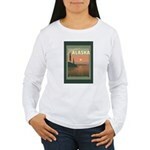 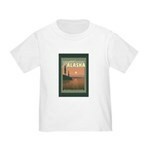 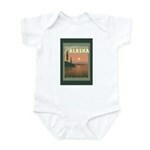 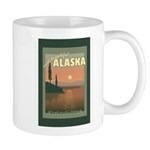 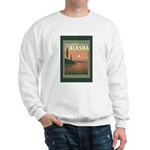 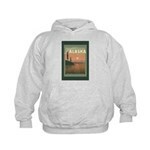 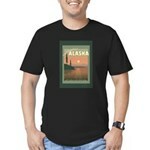 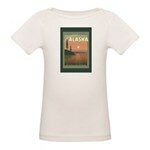 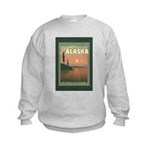 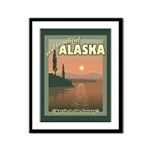 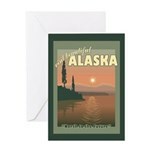 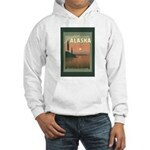 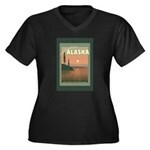 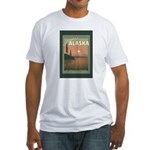 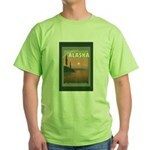 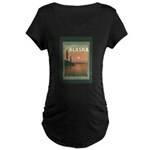 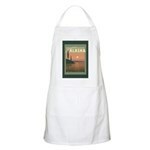 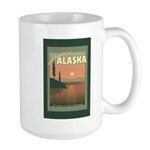 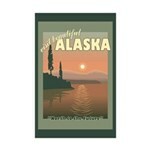 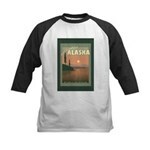 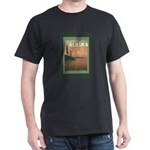 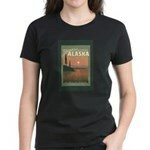 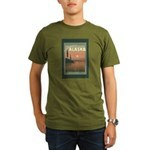 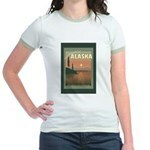 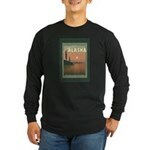 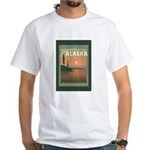 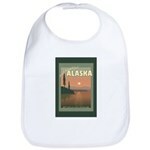 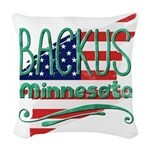 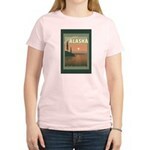 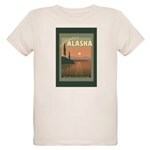 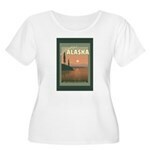 A unique gift idea for travelers and Alaska fans.